PHOENIX – Consumers seeking last-minute loans will soon have new protections. The Consumer Financial Protection Bureau, an independent federal agency established in 2011 after the Great Recession, issued a ruling last month to curb so-called “predatory” lending practices, a move some experts say will make a positive impact on Arizona consumers. The rules would require short-term lenders to determine upfront whether customers could afford to repay their loans. “I don’t think that’s difficult or a stretch for lenders at all,” said Cynthia Zwick, executive director for the nonprofit Arizona Community Action Association. The ruling applies to short-term loans of less than 45 days, as well as loans longer than 30 days with an interest rate greater than 36 percent. These may include payday loans, auto title loans and deposit advance products. Arizona voters banned payday loan businesses in the state in 2008. Since then, the number of title loan establishments has grown substantially. Arizona has the seventh-most concentrated title loan market in the country with more than 630 locations in 2015, up from 159 locations in 2008, according to a 2016 report by the Consumer Federation of America and Center for Economic Integrity. People who need quick cash might resort to taking out a title loan, which works similarly to a pawn shop loan: The lender gives the customer cash in exchange for the vehicle’s title, and if the borrower cannot repay the loan, the business can sell the car to pay the borrower’s debt. Zwick said these title loan companies will now have to verify the borrower’s income, existing debt and cost-of-living expenses before signing off on a loan. 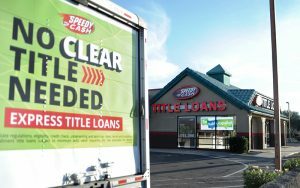 Diane Brown, executive director of the Arizona Public Interest Research Group, said title loans have been payday loan companies’ new attempts to create triple-digit loans in Arizona. “The CFPB’s rule on predatory lending will help consumers in Arizona and across the country by ensuring the consumers have the ability to repay the loan,” Brown said. The CFA estimates that Arizona title loan companies take in more than $300 million per year in revenue. Defenders of the payday loan industry said the new rule will only hurt consumers. Daniel Press, a policy analyst for the Competitive Enterprise Institute, wrote an opinion piece for the Washington Examiner that said the rule unfairly targets people who don’t have access to the traditional financial system. “Payday loans are used by about 12 million people each year who find themselves in dire need of funds to cover urgent expenses, perhaps to pay an unexpected medical bill, fix a broken car, or just to keep the lights on at home,” he wrote. He said the loans help consumers “bridge the gap” during difficult times. Robin Romano, CEO of MariSol Federal Credit Union based in Phoenix, said people resort to title loans because of lack of awareness about alternatives. Romano said alternatives to a title loan are short-term loans as small as $500 offered by most local credit unions, and they have a maximum interest rate of 18 percent. MariSol Federal Credit Union has partnered with Phoenix-based nonprofit Take Charge America in creating the Lend a Hand program. Lend a Hand helps people pay off title loan debt and replaces it with a more manageable lower-interest payment to the credit union, with up to a $3,000 loan at 12 percent interest, Romano said. She said Lend a Hand requires participants to obtain financial education so they don’t end up in similar debt situations in the future. Brown said there’s more work ahead. She said the new rule is a “floor for consumer protections, not a ceiling” and does not prevent states from enacting stronger laws, such as a rate cap – the maximum allowed interest rate on a loan. 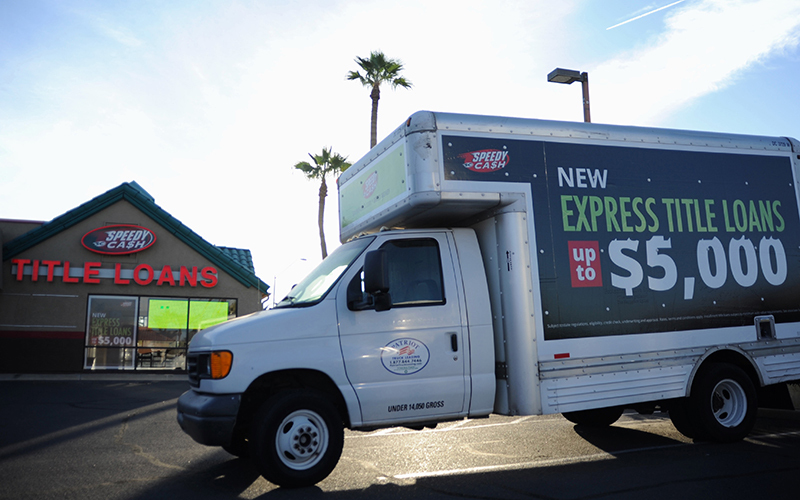 Speedy Cash, a title loan lender with 12 locations in metro Phoenix, provides a sample plan on its website for a customer borrowing $500 in exchange for their car’s title. The plan to pay back that loan breaks down to 18 monthly payments of $90. That means the borrower would end up paying out more than $1,000 in interest on the original loan. Speedy Cash and TitleMax did not respond to requests for comment. The CFPB ruling is scheduled to go into effect in 2019.